We've had a few days of eighty-plus degree weather this past weekend and it would appear that Summer is upon us for good this time. I once called summer my favorite season, but have come to appreciate all of them - with the exception of winter which, I'll be honest, I still kinda hate. Because of all the fun Summer brings, including vacations and a few national holidays sprinkled in, it's right up there with the beauty of Fall and the promise of Spring. Here's a bit of what summer held for me as a kid in the seventies as well as today. 70's: With Mom at work all day us kids were left to fend for ourselves and make our own summer fun. One of my favorite things was to leave notes for her at night to leave us a quarter or fifty cents that we could use to buy candy like Jolly Joes, Now and Laters, Pixie Stix and Dots. Or maybe a package of football cards or Wacky Packages. 2015: Summer is a time for shorts and sandals. As a Midwesterner, I get so tired of layers of clothing that at the first sign of spring, I switch into shorts. I tend to spend at least May - August in shorts and a T-Shirt. Don't judge, it's one of my simple pleasures. The jeans and sweatshirts can wait. 70's: Pickup games of baseball at St. Lukes's playground were a popular pastime for the neighborhood kids and us. I can remember using the bats we got from the Minnesota Twins Bat Day giveaway and sharing gloves because not every kid had one or, more likely, couldn't find the one they did have. The rules changed according to how many players each team had. More often than not there was a "supply your own pitcher" rule or a "any hits to right field are an automatic out." Other rule modifications included four foul balls and you're out, and no stealing or leading off. Come to think of it, most games were more about what you could not do, than what you could do. 2015: Because our house does not have central air conditioning there is a whole process on hot days of closing up in mid-morning and opening up again in early evening. Our house stays pretty cool and usually we only have to run the window air conditioner units a couple of weeks a year. 70's: Every once in a great while, Mom would pile all of us into a car for a Drive In movie. We'd dress in our pajamas and take blankets to put on the roof of the car. (The bugs usually took care of that novel idea shortly after dusk.) My sister and her boyfriend once took us to see Sounder which was about the saddest movie I'd ever seen. 2015: Grill outs with friends and family seem to happen almost weekly in the summer months. Brats and hot dogs, countless chips and cookies, jello salads and of course lots of watermelon. These affairs ALWAYS require at least a second trip back through the line to make sure you get a little of everything. Oh, and the rule for soda is that every kid must take at least three cans and never drink more than one quarter of each. Leave the rest for the ants and bees. 70's: Hot Saturdays and Sundays sometimes meant my stepfather would bring us and some of our stepbrothers and sisters to the beach for the day. We went to Bayport beach near Hudson or Lake Owasso out near Shoreview. Not being much of a swimmer, I usually brought my fishing rod, a Frisbee and football. Some of the best memories of my childhood come from these outings. 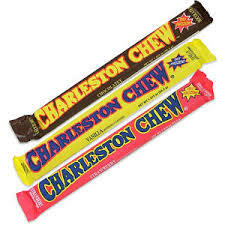 Listening to Three Dog Night singing "Ride Captain Ride" while playing pinball and eating a frozen Charleston Chew at the beach house was about as good as a kid could get back then. 2015: Thinking back to some of the great family vacations we took with the kids in the past 15 years or so brings a smile to my face. In addition to our annual trip to the cabin in Mercer, Wisconsin, we've been to South Dakota, Pennsylvania (Poconos, Philadelphia, NYC), Disney World, and Colorado. Priceless times for our kids and their cousins. Great memories for the adults as well. 70's: Once a year Mom and Jack took us and a few of our stepsiblings camping to a state park for 4 or 5 days. Lots of fun swimming, playing cards and poking around with the fire. I have to hand it to them for taking 6-7 kids anywhere for four days. I think there may have been some Fleischmanns brandy in a plastic jug with a built in pourer to serve as a sedative for the two of them over the course of the week. Looking back, I can't say I blame them for that. 2015: Summer's now are made up of kids sleeping until noon while mom and dad head to work. There are kayak fishing trips, summer naps, outdoor music festivals, and of course trips up to St. Paul and New York to visit family. All of these things and the things of so long ago still make it the best season of the year.